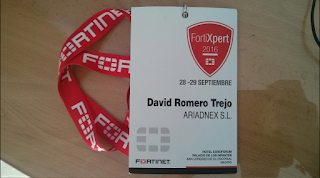 One more year, I have been in the FortiXpert summit learning about security trends, new Fortinet products and features, and new risk factors in the cybersecurity world. Again, it has been a rewarding experience because we have shared IT knowledge to improve our security deployments and to maintain much better our security infrastructure for protecting, the most important thing, the data. Next, I'm going to highlight some of the important things that they are still in my head. 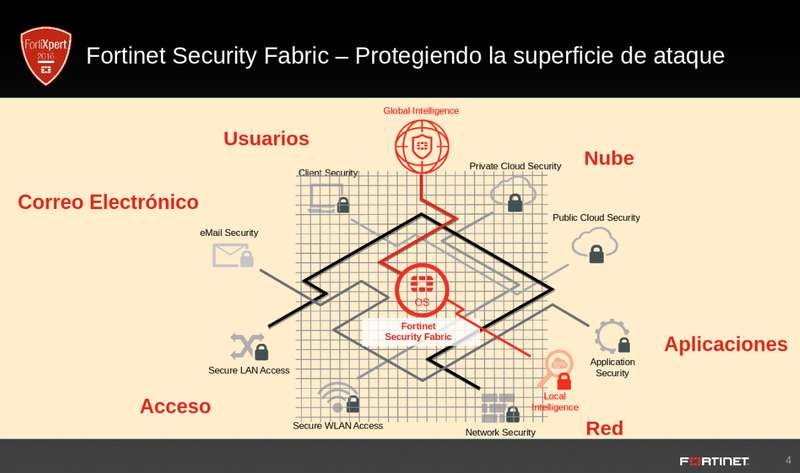 The Systems Engineer Manager, Jose Luis Laguna, spoke about a new concept called Fortinet Security Fabric which is an evolution to integrate every security device in only one ecosystem. Today, we have lots of security devices, servers, network devices, software, etc increasing the complexity of our IT environment and when a new threat is discovered or someone is attacking us we are lost and we don't know where we have to looking at. 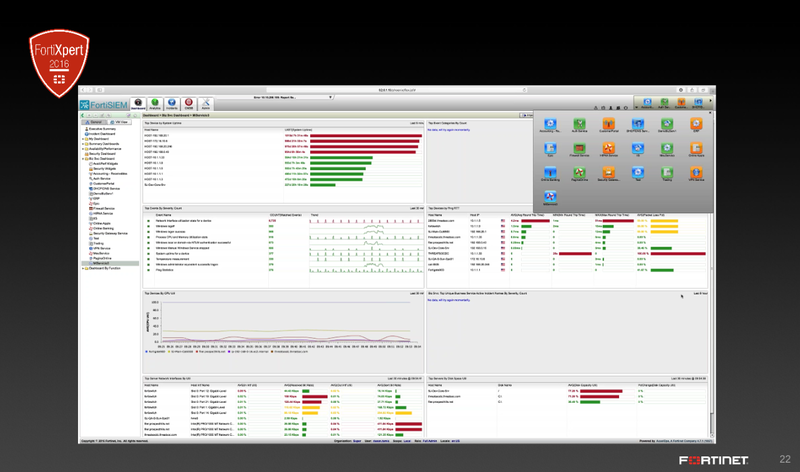 Fortinet, with his Security Fabric, are integrating every device to speak each other to discover and block attacks, and along with FortiSIEM, has only one dashboard where we can see the health of our IT infrastructure. The Systems Engineer, Paco García, spoke about hardware acceleration and the new FortiASICs, the Content Processor 9 (CP9) and the Network Processor 6 (NP6), which are the new generation of processors that they are installed in the FortiGate E-Series. 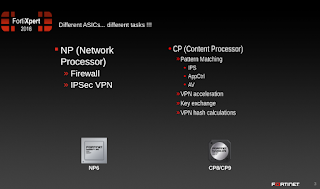 FortiGate firewalls with CP9 and NP6 have less latency and more performance reaching more than 1 Tbps of throughput, thanks to 100 Gbps interfaces and FortiASICs. Maybe, the new FortiGate 7040E is the most powerful firewall in the market today. The CCI Manager, José Valiente, spoke about Cybersecurity in the Smart Factory or, as he called it, Industry 4.0, where he compared the Industry with the evolution of cars and he highlighted the increasingly integration between OT and IT. 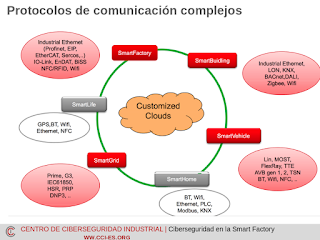 Today, everything is Smart, even Factories, because devices/sensors have to interconnect each other to exchange and share data, and as most software, Smart Factory has vulnerabilities that we should take care, because we are not talking only about steal information but disasters which can kill people as well. 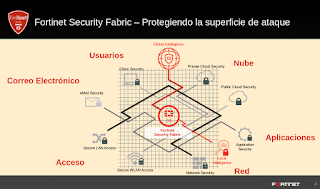 Pablo García from Fortinet and Francisco José Verdugo from VMware spoke about SDN or how we can take advantage of Virtual Networks for better segmentation, scalability and security. 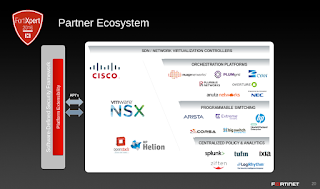 We'll get better segmentation isolating applications and workloads, which is easy with NSX and FortiGate-VM, where we can deny the communication even between virtual machines which are in the same subnet. In addition, we'll get scalability with dynamic elasticity when we use orchestration platforms which can implement auto-provisioning to deploy security devices automatically as we grow. The Systems Engineer, Rubén Javier Pérez, spoke about an interesting technology, which is increasingly demanded by companies, to monitor all assets from an unique dashboard. This technology is called SIEM and with the recent acquisition, AccelOps, they have implemented a new product called FortiSIEM, which is perfectly aligned with Fortinet Security Fabric and it can be integrated with all FortiStuff and lots of other devices to know the health of our IT infrastructure. Thanks and congratulations to every FortiPeople who has participated and organized this interesting summit.